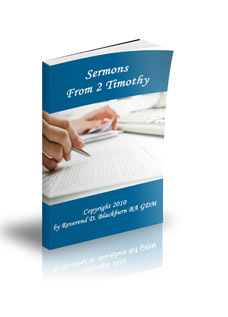 Sermons on 2 Timothy 1 is a snippet from a sermon on a passage of Scripture from 2 Timothy 1:1-18. 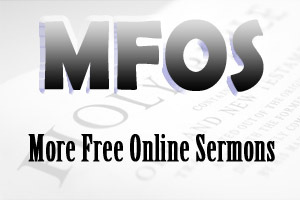 The main preaching point of this sermon is: Rekindling The Spiritual Fire Within. The sermon from 2 Timothy 1:1-18 is about: Rekindling the Spiritual Fire Within. In our spiritual journey, there will be times when our passion for Jesus wanes. This sermon was written with this in mind! Camping is something you either love or hate. However you view camping, there is one magical aspect to camping and that is the camp-fire. As darkness engulfs the campsite and the camp-fire begins to blaze, it's has the ability to draw people around with laughter, stories and great times of fellowship. The heat and light radiates throughout the campsite. There is something special about that! As time passes, the flames tend to die down so someone needs to re-stack the fire with more wood and once more the fire is blazing, radiating its heat and light throughout the campsite. Our Christian lives are a bit like a camp-fire. We can be on fire for God (radiating Christ to those around us), but over time if we don’t rekindle the fire or keep it blazing, the fire within us can dim. Our desire to serve God can wane. Our desire to follow God can waver. Other things will take priority; and before we know it, we have lost our way. Timothy's fire had cooled so Paul wrote this letter to encourage young Timothy to rekindle the spiritual fire within. Look at verse 6, "Therefore I remind you [referring to Timothy] to stir up the gift of God which is in you through the laying on of my hands." The Bible reminds us that we all have a spiritual gift (1 Peter 4:10). Timothy's gift was preaching. He was a preacher and his gift of preaching was confirmed at his ordination when Paul placed his hands upon him and prayed for him. So Paul encouraged Timothy to rekindle afresh his gift of preaching. The Greek word for stir or kindle literally means "to keep the fire alive," to fan the embers into flame and not let them die out. This was Timothy's challenge and it is a challenge for all Christians! Look at verse 7, "For God has not given us a spirit of fear, but of power and of love and of a sound mind." It seems that Timothy lacked confidence, and this lack of confidence brought fear into his life and ministry. When we are apprehensive and fearful, often our focus is on ourselves and our own human resources rather than on the Lord and His resources. God has not given us a spirit of fear but of power and of love and of a sound mind. It is God's power that enables us to minister effectively. It is God's love that enables us to minister sensitively, and it is God's wisdom that enables us to minister wisely. All of these are God's resources for us! Look at verse 8, "Therefore do not be ashamed of the testimony of our Lord, nor of me His prisoner, but share with me in the sufferings for the gospel according to the power of God." There will always be negative aspects in sharing of the gospel of Jesus Christ. Some people will be just down right hostile. However, this should not deter us or lead to being ashamed of the gospel. Look at verses 9 and 10, "Who has saved us and called us with a holy calling, not according to our works, but according to His own purpose and grace which was given to us in Christ Jesus before time began, but has now been revealed by the appearing of our Savior Jesus Christ, who has abolished death and brought life and immortality to light through the gospel." As the writer to the Hebrews said, "Let us run the race, looking unto Jesus, the author and finisher of our faith" (Heb 12:1-2). If we keep our eyes on Jesus, then we will keep rekindling the spiritual fire within. Look at verse 11 and the beginning of verse 12, "To which I was appointed a preacher, and apostle, and a teacher of the Gentiles. For this reason I also suffer these things." The apostle Paul never forgot that God appointed him a preacher of the gospel of Jesus Christ. Paul faithfully fulfilled his Christian duty even though he suffered persecution, imprisonment, hostility, brutality, and loneliness. Timothy could learn a lot from Paul's life and ministry. Paul's life and ministry is an example to us all. As the apostle Paul said himself, "For to me, to live is Christ, and to die is gain" (Philippians 1:21). Look at verses 13 & 14, "Hold fast the pattern of sound words which you have heard from me, in faith and love which are in Christ Jesus. That good thing which was committed to you, keep by the Holy Spirit who dwells in us." One of the greatest inspirations to our passion and fervor for God is His word. If your spiritual fire is wavering, read and obey God's word. Verses 15 to 18 shows us the importance of faithful friends. There will always be some people who will dampen your desire to serve God and there will always be other people who will inspire you to serve God. Being passionate for God involves rekindling the spiritual fire within!